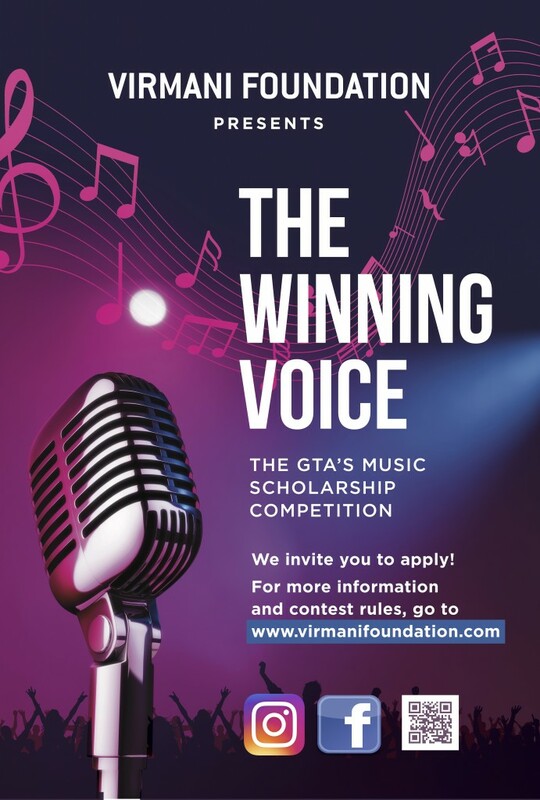 The Winning Voice is a vocal scholarship competition that promotes and encourages the education of talented youth from around the GTA who seek to embolden their lives through the power of music. The competition will select five of the GTA’s most promising rising stars, ages 18-25 years. They will compete for the chance to win a scholarship, which will be applied towards their higher education at a recognized musical institution, or through private instruction with an accredited voice teacher. The competition will be promoted via the contest website, social media (Facebook, Twitter, YouTube, Instagram, Snapchat), and local media outlets. It will feature celebrity judges who are dedicated to the promotion and protection of Canada’s artistic heritage.